When the most innovative and creative minds are looking to not only change their industry, but the world as we know it, they demand that their technology will deliver remarkable performance. So, it is no surprise that innovators across manufacturing, design, healthcare and media and entertainment turn to the powerful Dell Precision 7000 Series workstation portfolio as their tool of choice. 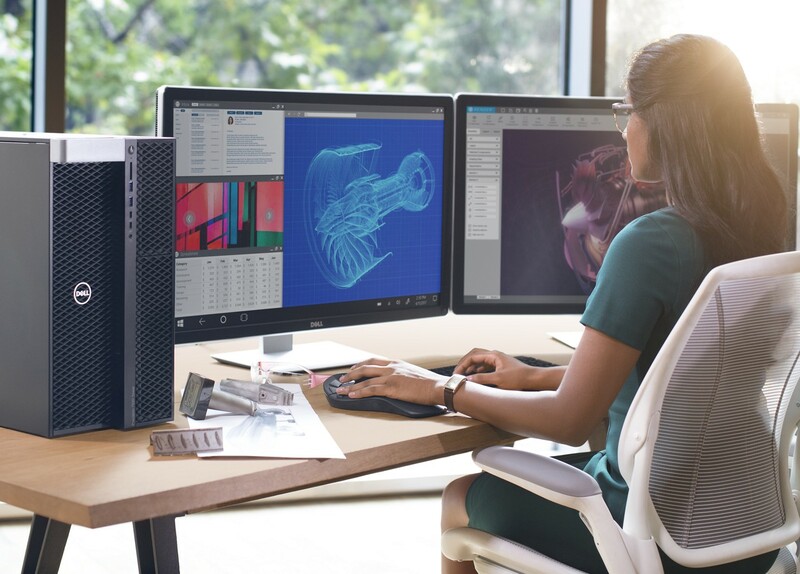 Dell has been a leader in workstation technology for over two decades because we are driven by our customers’ insights and experiences, and we continue to purposefully design products with intelligent performance and mission-critical reliability for industry applications and emerging technologies like VR and AI. Inspired by our customers’ drive to push boundaries in their work, we have upgraded our Precision 7000 Series workstation towers and rack to deliver higher performance and massive scalability for the most demanding workloads. 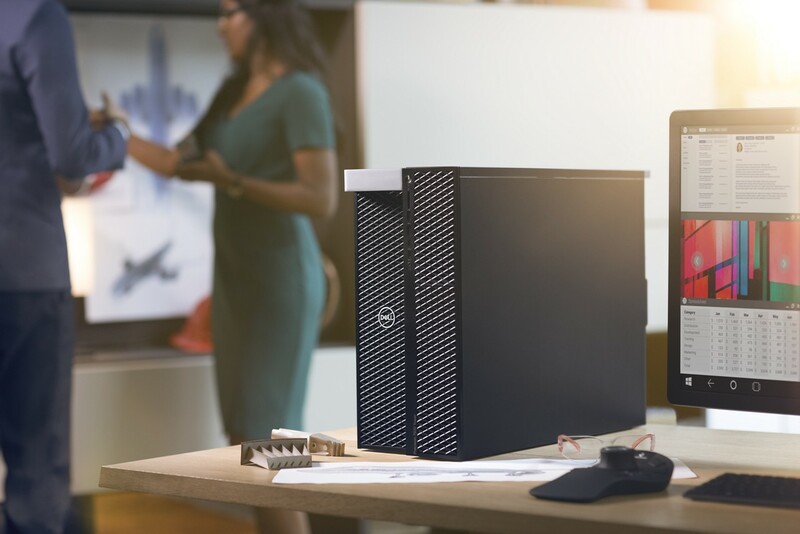 Next month, Dell’s flagship tower workstation, the Dell Precision 7920 tower, and the Dell Precision 7820 tower, will be updated to include the new 2nd Gen Intel® Xeon Scalable processors and NVIDIA® Quadro RTX™ graphic options to deliver outstanding performance for the most demanding applications and largest datasets, including enhancements for artificial intelligence and machine learning workloads. As always, the Dell Precision Optimizer is available on all Precision workstations, and both towers are “Ready for VR.” For a small cost, Dell Precision Optimizer Premium is also available. This is an innovative feature using AI-based technology to tune the workstation based on how it is being used. The smart multichannel thermal design continues to deliver advanced cooling and acoustics. We are proud to be the only mainstream tower workstation family to offer an externally accessible tool-less power supply and FlexBays for lockable, hot-swappable drives for serviceability and security. For customers seeking the highest level of secure, remotely accessible 1:1 workstation performance, the refreshed Dell Precision 7920 rack workstation delivers all the performance and scalability of our flagship Dell Precision 7920 Tower in a flexible, convenient and secure 2U rack form factor. This rack workstation is ideal for OEMs and customers who need to locate their compute resources and valuable data in central environments. This option can also help reduce noise, heat and save space while providing secure remote access to external employees and contractors. Configuration options will include the recently announced 2nd Gen Intel® Xeon® Scalable processors, built for advanced workstation professionals, with up to 28 cores, 56 threads, and 3 TB DDR4 RDIMM, and support for ground-breaking technologies such as Intel® Deep Learning Boost, a new set of Intel® AVX-512 instructions. These industry-leading new Precision 7000 Series workstations will be available in May, with high-performance storage capacity options, including up to 120TB/96TB of Enterprise SATA HDD and up to 16TB of super-fast PCIe NVMe SSDs. They say that seeing is believing and when it comes to the power of our new Precision 7000 Series workstations, that could not be more true. Dell workstation specialists with be onsite at both NAB 2019 (Booth #SL8011) and COFES 2019 over the coming days, so be sure to stop by and check out the latest technology for intensive workloads. From media and entertainment to engineering, manufacturing and healthcare, Dell Precision continues to be a leader across industries by delivering next generation innovation today. We look forward to seeing many of you at these industry events in the coming months.